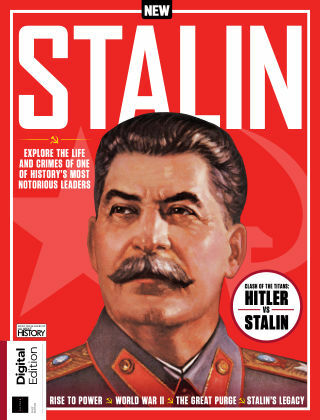 With Readly you can read All About History - Book of Stalin and thousands of other magazines on your tablet and smartphone. Get access to all with just one subscription. New releases and back issues – all included. Stalin – a pseudonym which roughly translates as ‘man of steel’ – may loom large over world history, but he began life as a simple peasant boy in rural Georgia. In this book, we’ll explore what drove the young Iosif Dzhugashvili from a career in the clergy into a life of crime, before finding his true calling in the underground Bolshevik movement. See how his dictatorship progresses from the victories of World War II to the paranoia of the Cold War, and learn about the people who fell victim to his obsession with power.